The SP200/202XM series has a range of accessories that are available from our online shop. 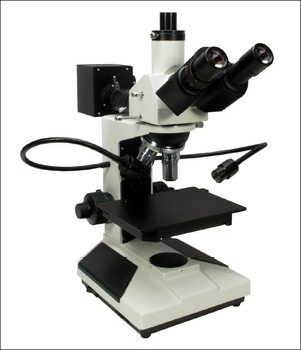 An industrial standard metallurgical trinocular microscope with a particularly large specimen stage. Finished in beige enamel with a superior build quality. The trinocular head allows full illumination to the binocular head or to the trinocular tube for digital photography. Full interocular and dioptric adjustment, x10 wide field eyepieces. Non coverslip adjusted, long working distance plan objectives x4, x10, x40 and x60, with the option of an additional x20. The mechanical stage platform measures 140 x 185mm with drop down coaxial controls. Low position coaxial coarse and fine focus controls with tension and safety stop adjusters. The SP200XM has a 6v, 20 watt quartz halogen incident illumination system with rheostat brightness control and iris diaphragm with lateral movement adjusters. The incident illumination can be either plain or polarised. 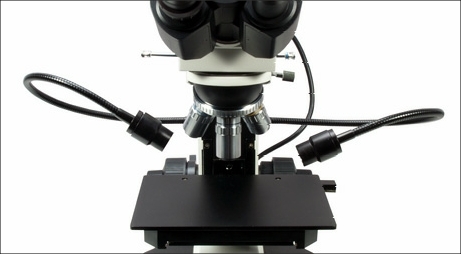 In all metallurgical microscopes the objectives also act as the condenser for the illuminating light system. The quality of the final image depends very much on the reflective nature of the specimen to be examined. The SP202XM allows the option of a dual goose neck LED lighting system that can illuminate the specimen from any angle independently from the standard pathway that always combines both the illumination and image systems. The 160mm tube length objectives are long working distance allowing a sufficient gap for the goose neck lights to be used with x2.5, x4, x10 and x20 objectives. The two lighting systems of the SP202XM can be used together or separately and are particularly useful for non metal opaque specimens that are not particularly reflective. 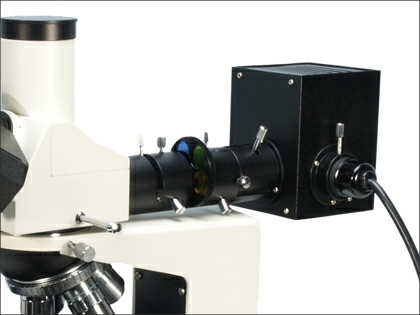 This microscope is our own design and is available only from Brunel Microscopes. The trinocular head has a push in/ push out analyser filter and the semi rotating polarising filter allows the analyser to be crossed. 240v to 110 volt internal electronic switching option. 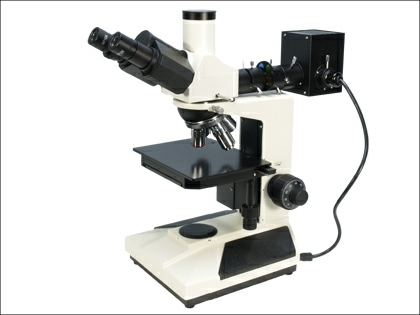 An excellent metallurgical microscope series for all applications. Accessories include measuring, CCTV and photography adapters.